The best women's bike in Whyte's All Terrain range, this commuter/hybrid bike's suspension fork and hydraulic brakes make the Caledonian fit for off-road exploring. 'All Terrain' refers to Whyte's aim to create a 'do anything' bike that will perform on road and delight off road. The Caledonian concept is all about creating a bike that you can confidently enjoy whether you're on the road, an unpaved cycle track or the green routes at your local trail centre. The women's version of the Whyte Ridgeway offers a good insight into the extra care this British company devote to designing every bike. Instead of producing a standard open frame or a modern women's-specific diamond frame, Whyte have opted for a partially dropped top tube. This way you get a stiffer more-efficient hence easier-to-ride bike than one with a traditional 'ladies' frame. Unlike many ladies' frames there's enough room to fit a bottle and cage. Simultaneously, the Ridgeway has more stepover clearance than any diamond-framed women's bike. Vittoria Randonneur Trail 700x35 tyres with Double Shielding puncture protection zip along the tarmac yet offer good grip when you take an off-road detour. 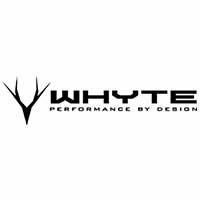 We believe that Whyte are the only company in the bicycle industry who build every one of their hydroformed aluminium frames with custom drawn tubing. This means that Whyte go to the expense of spec'ing a different tube set for each frame size. Custom tubing is Whyte's guarantee that their frames will be as light as possible in every size. Whyte are famed for getting their frame geometry just right, to ensure you feel confident and centered on the bike. So it goes with the Whyte Caledonian. Its road bike-like seat tube angle (73.5-74.5 degrees) positions you over the cranks for maximum pedalling efficiency. Its shallow 69 degree head tube angle makes the bike reassuringly stable, especially on downhills. The happy result is a bicycle that rides like its a natural extension of your limbs.